Baseball season is here whether you like it or not. Whether you are a baseball fan yourself, or attending games to please your boyfriend, there isn’t a reason why you can’t look cute. Just because you’re a sports fan doesn’t mean you can’t look feminine. Gone are the days where over-sized jerseys are your only option. 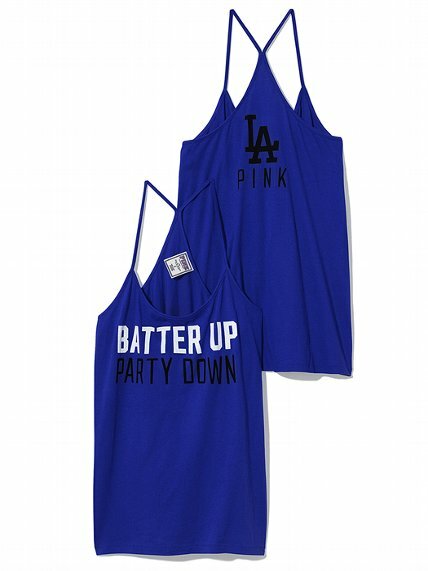 Victoria Secret offers an MLB line with plenty of flirty fun pieces to choose from. As a Dodgers fan, I am partial to the white and blue. Below you will find some cute options for female baseball fans. Click on the image to be redirected to the Victoria Secret page where you can get additional information, or purchase these items. GO DODGERS! !